A professional pest control services generally covers both residential and commercial pest control treatments. safe for humans,pets,and the envirnoment.The best companies will use an Integrated Pest Management system, which means they use the least amount of pesticide that’s possible while remaining effective. In addition to exterminating bug colonies and nests, technicians also employ a variety of prevention methods so the bugs won’t come back, such as bait traps. They are likely to use products inside and outside of your home or business, and they can even seal cracks and crevices. 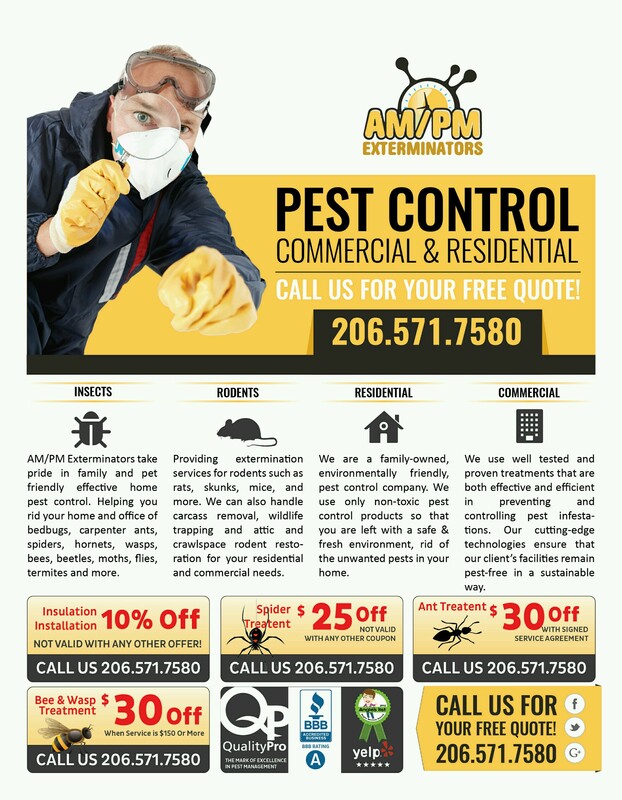 This entry was posted in Commerical pest control, Eastside Exterminators, Eastside pest control, Exterminators, Home pest control, pest control seattle, Rodent exterminator, seattle pest control, seattle pest exterminator by Eastsidepestcontrol. Bookmark the permalink.